Hire Best Selling Author Speakers for your Portland ME event. 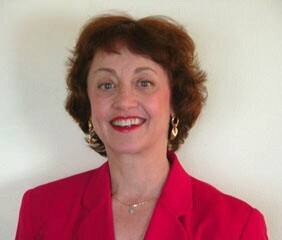 Free referrals to professional keynote speakers Portland Maine ME. Amie Devero, Incorporated Tampa Florida serving Portland Amie Devero is a speaker that understands the importance of delivering a message that is meaningful, packed full of value and that will give the audience tools they will use immediately. Speaking to audiences of executives, managers, mission-driven associations or business owners, Amie provides thought-provoking presentations that galvanize people into action and inspire them to produce breakthroughs in their business and personal lives. No cookie cutter presentations and no fluff - instead, rea.Amie has over 15 years of consulting experience, has held multiple executive positions as well as having owned a company for five years that she ultimately sold to her employees. She holds two Masters degrees and was educated at Bennington College, Harvard University and London School of economics. She has also been a nationally syndicated radio talk host and television feature reporter and panelist. She has spoken to hundreds of audiences, trained over 20,000 people and recently had her book Powered by Principle published. Dr. Sue New York New York serving Portland Susan Horowitz Ph.D. is a funny, dynamic Speaker and Author of Queens of Comedy based on personal interviews with Lucille Ball Carol Burnett Phyllis Diller Joan Rivers. Topics: Success Secrets of Queens of Comedy, Laugh At Live With and Love Yourself, Genius of Jewish Comedy.Dr. Sue has been offering her unique programs for over 10 years. Besides speaking for audiences all over the world Dr. Sue is a singer comedienne actress and award winning author of books films plays and poetry. .Dr. Jon Taylor is a feature entertainer whose comedy stage hypnosis has touched thousands of funny bones since 2009. Dr. Jon is behavioral psychologist who knows laughter is the world's best medicine! 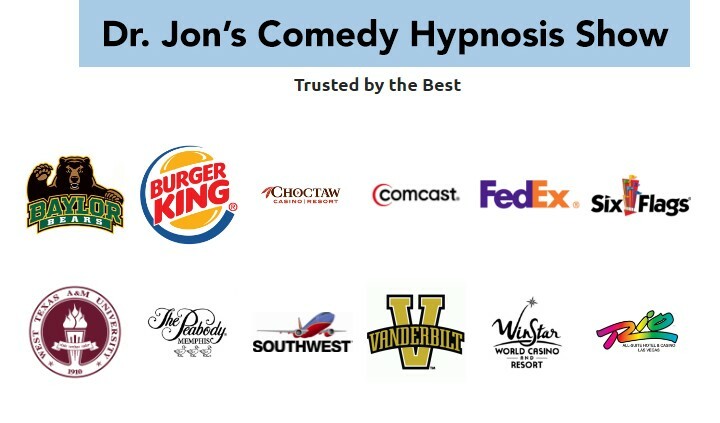 Nationally and internationally recognized, Dr. Jon Taylor provides world class comedy hypnosis entertainment and exceeds highest expectations for client service and satisfaction. BBB A+ rating, Full insurance certification. Dr. Toni LaMotta In-Lightened Enterprises, LLC Sarasota Florida serving Portland I support people and organizations in reinventing themselves during midlife. I've been a Catholic nun, a computer programmer, a corporate trainer, a programmer/analyst, a dinner theater actress, a keynote speaker, a New Thought Minister, an award winning author. I have lots of experience in change.. and clients love me!.I've been doing speaking and writing for over 20 years. This topic/speciality exclusively for the past 3. Dr. Sue New York New York serving Portland Susan Horowitz, Ph.D., is a MOTIVATIONAL SPEAKER, COMMUNICATION TRAINER, UN ADVISOR IN EDUCATION and CULTURE, BEST-SELLING AUTHOR of QUEENS OF COMEDY, based on her interviews with superstar comedians, and PROFESSOR. KEYNOTES: Journey to Success, Celebrate Diversity, Queens of Comedy, Humor, Health and Stress, Jewish Comedy, Empowerment, Conflict and Anger Management, Aging, Executive Coaching, business, attitude, speech. Dr. Sue enjoys the opportunity to speak, travel, entertain, and motivate..'NEW YORK UPBEATS' (Sue Horowitz-Singer, Laura Paulman-Pianist)have been delighting audiences for over 4 years. References, CD, and Video of live show available. Tracy Repchuk Burbank California serving Portland Best selling author of 31 Days to Millionaire Marketing Miracles, Internationa speaker (UK, AU, NZ, Canada, USA, Malaysia, KL, Thailand, Singapore) and motivator. Award winning internet marketer, coach and mentor. 2009 Top 10 Internet Marketing Women of the Year by Legendary Marketers series 2009 Feminine Leader at International Amazing Women's Day 2008 Stevie Award Finalist for Mentor of the Year 2007 New Internet Marketing Success Entrepreneur since 1985 Mom to 3 kids. asktr.Been an entrepreneur since 1985, started my first company at the age of 19, was called a Whiz kid by the press and media. Continued this trend to my speaking, authoring and internet marketing endeavors today. Kytka International St. Petersburg Florida serving Portland Whether youre using your book to generate media, speaking opportunities or to attract new customers, it is the most powerful marketing tool in your arsenal. If your typical customer is worth ,000, and you use your book to attract and generate new leads into your business, how much more valuable does your book become? We specialize in positioning you as the expert to attract new leads and more customers. Visit www.BestsellerAuthority.com or www.DistinctPress.com/professionals.I have had a strong online presence since 1995 15+ years of internet marketing, coaching, teaching and training. I am a best selling author and a seasoned speaker. The Cancer Club Minneapolis Minnesota serving Portland Best Selling Author, Professional Speaker, and Top sales producer Christine Clifford speaks on using humor to get through lifes adversities as well as sales and marketing, specifically branding and positioning. Author of Not Now...Im Having a No Hair Day,Cancer Has Its Privileges, and You, Inc. The Art of Selling Yourself..
or just click request quotes link above.